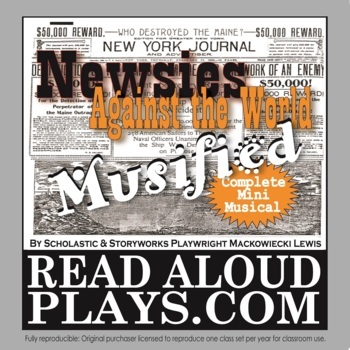 Your kids will love Newsies Against the World, the "musified" version of my March 2015 play from Scholastic’s Scope magazine. Though based on the same events as Disney's "Newsies" musical, this original version is much different and more historically accurate. It tells the story of a young Polish immigrant named Aniela who in 1899 had to go to work selling newspapers to help her family avoid homelessness. Just when she gets the hang of hawking "papes," the kids go on strike, leaving her in a difficult predicament. I've combined the original play (which is also available on my TpT storefront) with period music and detailed stage directions to create a fun mini-musical for middle grade kids. It eliminates the traditional narration of read aloud plays in favor of more characters and livelier dialogue. 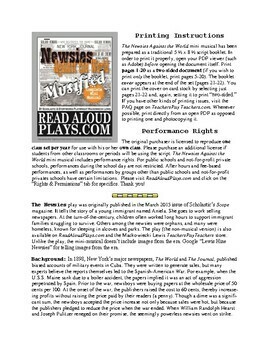 And this too: performance rights for Broadway hits--such as Disney's musical--cost a small fortune, but if you're a public school, they're included with Newsies Against the World (which is why this one's slightly more expensive than my traditional plays). The product prints as a traditional script booklet (which may look a little funky in the preview but works great when printed properly). 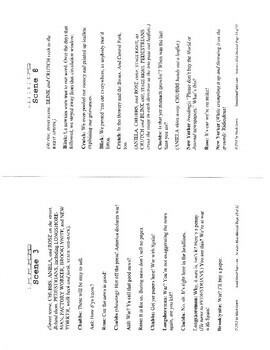 It also includes lyrics and sources for five free (non-commercial) "sing-along" tunes. Be sure to download the preview file for full details about the story, about performance rights, and about downloading the music. 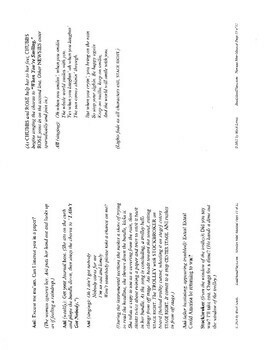 Consider doing a compare and contrast activity with Disney's show, or with my original read aloud play. Thanks, and Happy Directing!